A Cure for Everything includes new works by 2018 Guggenheim Fellow David Maisel (b. 1961, lives and works in San Francisco, CA). 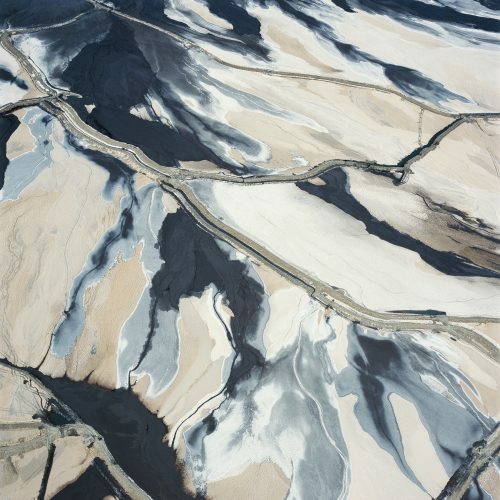 Aerial images from Maisel’s latest series, Desolation Desert, reveal how copper and lithium mining in Chile’s arid Atacama Desert have dramatically transformed the landscape. The exhibit also features work by Johanna Billing, John Chiara, Linda Connor, Kota Ezawa, Binh Danh, Roy Lichtenstein, Chris McCaw, and Meghann Riepenhoff.